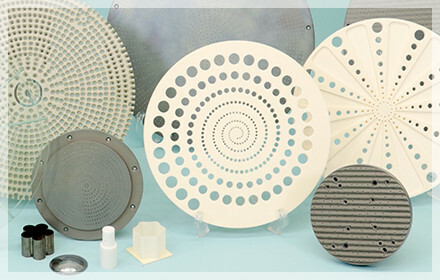 Machining Examples|Precision Machining of Ceramics, Quartz, Tungsten & Molybdenum | Top Seiko Co,. Ltd. 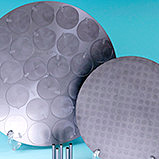 Looking for a precision machining company for your project requiring an ultra-hard material with specific properties? 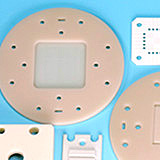 Click on the material of your choice to view our sample parts that highlight our capabilities. "Many precision parts have been made in common metallic materials. But we machine exotic hard materials and make the same parts." With that motto, Top Seiko strives to continuously expand its know-how in precision machining of ultra-hard materials. We specialize in machining materials which are HARD & BRITTLE, or SOFT & DUCTILE, but it does NOT machine common materials such as resin, iron, steel, copper and aluminum. Focusing on difficult-to-machine materials has enabled us to gain deep knowledge of these high performance, ultra-hard materials and continuously improve our machining capabilities. 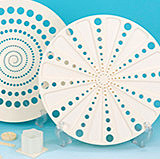 Below you can find a selection of our sample parts to demonstrate our machining capabilities. By scrolling down to the bottom of this page, you will find a list which outlines our services. Please read to learn how you can benefit from us! Based on our knowledge and experience in working with ultra-hard materials, we help you select a material with the right properties for your application. 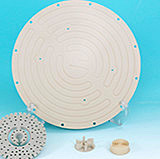 We have supported our customers with replacing materials for their existing parts. There are many successful cases in which our customers have benefitted through improved functionality of their parts that led to surpass their competitors, or longer service life of the parts which have resulted in lower costs, reduced maintenance and less downtime. 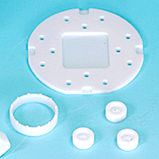 We offer material sourcing as one stop machining service, but we can also machine customer-provided materials. Since we are not a material manufacturer, you can choose from a wide range of materials based on your needs. We offer not only materials from Japanese manufacturers but also from those outside Japan. To meet your needs such as shorter lead times and cheaper costs, we stock a wide variety of materials. In the aim of making ANY precision parts with difficult-to-machine materials, we strive to continuously expand our machining know-how through test machining and the data collected. We have accommodated our customers’ most challenging precision machining needs. Some of our customers were looking all over the world to find a machining company that can meet their requirements, and reached us. To develop the most suitable tools and fixtures, each of them will be designed by us. Then they will be custom-made by tool manufactures or produced by ourselves. We maintain our climate controlled manufacturing environment at all times. With continuous investment in equipment, our high precision machine tools are kept up-to-date to meet the tightest tolerance requirements. Also, every machine is inspected on a daily basis. Intensive performance checks of each machine are carried out regularly. Tools crucial for precision machining will be designed by our experienced engineers. Then they will be custom-made by tool manufactures or produced by ourselves. Each of our machine operator must go through training sessions regularly and must pass the internal tests each time. Although most of our machine operators are well trained, extremely high precision parts will be machined by our experienced machine operator. Based on our machining theory and experience, we decide the optimal machining conditions each time. We use high precision inspection equipment such as coordinate measuring machines to ensure that we provide high quality and reliable products. For your urgent needs, we handle short lead times. We have adopted a small and medium-sized business version of Toyota Production System for manufacturing process management. 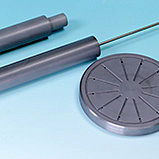 We manage manufacturing processes to provide “copy exact” parts. To maintain compliance to Copy Exact standards, we use managing tools such as process flowcharts and route sheets. As an ISO9001 certified company, we provide traceability for your project. Our QA team is dedicated to inspect each product based on your specifications. Also, we invest in advanced inspection equipment such as Coordinate Measuring Machines and CNC High Precision Image Measuring Machine. For needs of special tests and measurements which we cannot handle in-house, we inspect the products at inspection institutes such as Industrial Research Institute. We are committed to compliance with confidentiality obligations. We sign a Non-Disclosure Agreement for confidential projects upon request. As counterfeiting only harms our customers, we do NOT provide service for counterfeit products. We have been serving many loyal customers by providing custom machined parts which other machining company cannot, and at a reasonable price!